* This card case has novel exterior with mixed and disorderly weed patterned appearance. * This Aluminum Business Card Case is a great way to carry & present your business cards. * It keeps your cards clean, undamaged & fit inside any pocket. 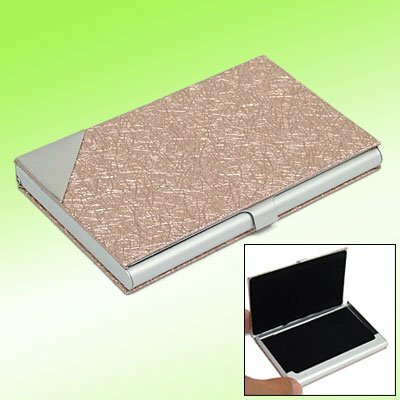 * This Business Card Case is made of high quality and durable metal materials, sleek design with a metal shut design! * ID Card Box holds about 10-15 cards depending on thickness of cards. * Such Thin Card Case is specially designed for business card, credit card, ID card, and any other cards.